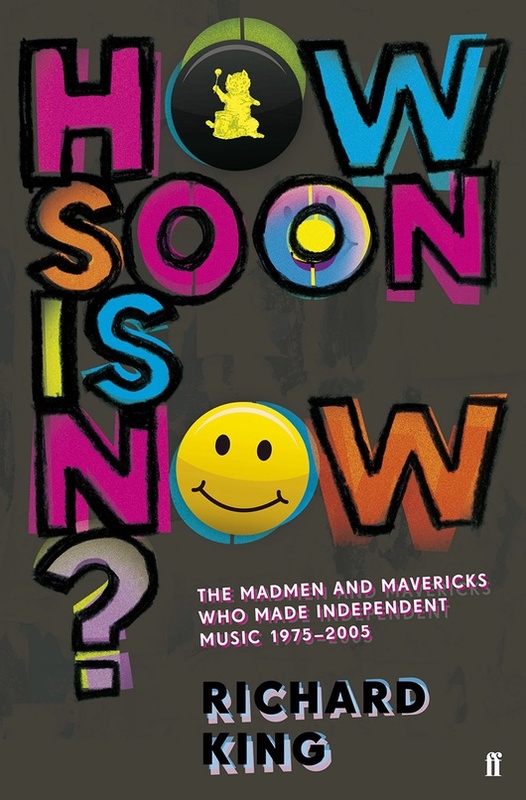 I recently read How Soon is Now: The Madmen and Mavericks Who Made Independent Music 1975-2005 by Richard King (Amazon UK, US). It was a good read, much easier and more fun than I expected. The 600-page book is mainly about the labels Rough Trade, Beggars Banquet, Creation, Factory, Mute, Postcard Records, 4AD, Warp and Domino. Much of the content is quotes from interviews with those involved, which makes it much more readable than a recounting of events by a third-party. There are a lot of characters. One of the few flaws of the book for me is that I’d still struggle to describe exactly what a record label does, compared to an artist’s management or a distributor. There seems to be a lot of overlap and it’s never entirely clear to me exactly what work people did. Aside from that, it’s a good, fun read. I was only into the music any of these labels put out from the late 1980s, but the stuff before that was still interesting to me. That stuff gets slightly tiresome after a while but, despite myself, it’s also entertaining to read. I should also say at this point that almost everyone in the book is a man, which is a bit tiresome, but there’s not that much we can do about that. Looking back from 2018 it seems strange how much influence “the music press” had. There were up to four weekly papers to fill, so it can’t have been that hard to get coverage for anyone remotely interesting or competent. Just think even how many covers had to be filled every year. But without the support of the music press, and/or John Peel, it seems like independent labels had little chance of making something successful. There was a time when I was “into music” more than I am now; I read NME or Melody Maker and the bands I like defined my identity more. But I realise now how little I knew about what was happening behind the scenes: where a band was in its career; how much they were or weren’t touring; what an appearance on Top of the Pops meant; who was falling out with who; how much labels and distributors affected a band and their success; the ups and downs of people and labels. I wasn’t even aware of most of labels other than as logos on records, rather than organisations made up of very different people, with different ways of working, and different kinds of chaos. Here’s the playlist on Spotify. This is mostly in the order in which tracks/albums are mentioned in the book. I’ve tweaked in a couple of places where it made a little more sense. If the book only mentions an album or EP, but no specific track from it, I’ve chosen the most-listened-to track as shown on Last.fm. In this case the track is marked with an *. If a track or album isn’t on Spotify, it’s indicated in the list below with a †. The KLF/JAMs tracks, and a few others, aren’t on Spotify in the UK but are included in the playlist… hopefully they work for others. The KLF - What Time is Love?